Be Surprised! Beautifully appointed, spacious rooms with attention to detail, Armadale Cottage B&B is unique and a Hidden Treasure at the Gateway to the South West. 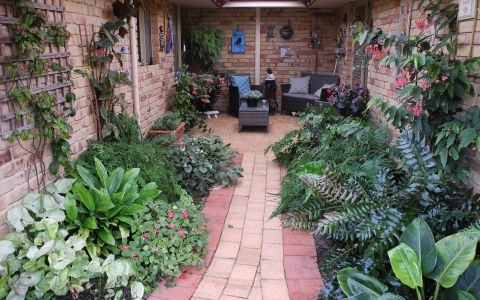 Armadale Cottage "A Hidden Treasure" is nestled in the foothills of Perth. The gateway to the SouthWest & Margaret River Wine Region. This delightful location boasts numerous tourist attractions to enjoy and provides the weary traveller relaxation and rejuvenation. The comfortable facilities of this B&B provide you with all the privacy expected and are accessed via a private entrance. There are 5 charming rooms to choose from, each with a private en suite and its own individual character. Also for your enjoyment is a cosy sitting room, tea & coffee amenities, a bookcase full of reading or, if you are inclined, facilities for a game of cards or socialising with other guests. In the mornings there is a full or continental breakfast then, if you have time during the day or the evening, you can relax by the 13m sparkling pool and sip on your wine, coffee or tea. For those business moments hi - speed internet access available. We look forward to you staying with us. The Outback room hosts a Queen bed and A King Size single private ensuite and includes a full breakfast in our dinning room in the mornings This Room Is Rustic with many outback artifacts. The Milk Can & Wash Board came from Katanning, The cream Can from Bruce Rock, The Bellows from Orange in NSW, and the Jarrah Bed Head was brought in from a local timber mill.and . . . the "Sweaty Hat" was commandeered under devious circumstances .......enough said. Oriental Room: this room hosts 2 King Size singles...private ensuite plus a full breakfast in our dinning room in the mornings... Experience the tranquility and opulance of the Oriental room. This Tastefully decorated Executive room has a king size bed, private ensuite.I Flat screen TV...includes a full breakfast in our dinning room in the morning overlooking the pool. 1 queen, 2 king size singles, private ensuite, private entrance, reverse cycle cooling/heating. Self contained kitchen - fully equipped. Flat screen TV, Dining Suite - Short to long term stays invited! A credit card number is required and a minimum of one nights accommodation or 50% of the total booking is charged as a deposit when the booking is made to guarantee the reservation. . PLEASE NOTE: If the booking is made within 7 days of arrival we will charge your credit card the full amount of the booking. There is a 14 day cancellation policy and we reserve the right to charge your credit card the full amount of the deposit should you cancel or substantially amend your reservation within 14 days prior to arrival. In the event of a cancellation we reserve the right to charge your credit card for the full amount of the booking if the accommodation cannot be rebooked. Upon quoting your credit card details your are verbally agreeing to our booking conditions. From the corner of Southwest Highway and Albany Highway you head towards Perth on Albany Highway We are about 1km on the left hand side, just past Clarence Road. Fantastic B&B, better than many hotels! We stayed one night as we visited a friend in Bedfordale. What a lovely couple! The room and the bathroom were really great, very clean. Breakfast was done with love, what you wished. Better than our hotel in Perth, highly recommended. Absolute gorgeous property. Would definitely stay again. 10/10. I have never stayed at a Bed & Breakfast before but Armadale Cottage Bed & Breakfast was absolutely stunning. Such a beautiful place. Cleanliness was the best I have seen in regards to accommodation. Ruth and her husband were awesome hosts. Such lovely people and they run their business to perfection. They have a delightful property and a great business to be proud of. 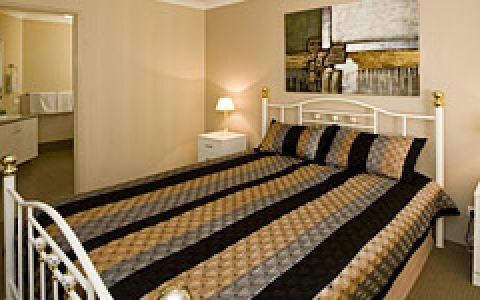 My wife and I stayed here for it's easy to access Perth Airport, which lies about 25km away and so about 20' by car. There is plenty of parking available, a nice swimming pool area to relax in and the rooms are furnished to a high standard with a separate lounge for guests to make use of. There is also A/C in each room and a drop box for late arrivals to collect their key. Despite sitting next to the main road, we did not experience any road noise at night.